Anna and Doug developed the vision for Vilicus Farms over 30-plus years of involvement in and observation of North American agriculture. The name, Vilicus Farms, was chosen thoughtfully. In Latin, there are two words for the English term “farmer.” The first, agricola, refers to one who labors on the land. Agricolae were essentially farm-laborers who were often slaves in ancient Rome. The other term, vilicus, is literally translated “steward of the land.” A vilicus was the overseer of a Roman estate, who managed the land, facilities, and staff with an emphasis on maintaining the long-term productivity of the land. While vilici were often freed-slaves, they were held in high regard by the landowners and by Roman society. They were said to be slaves, no longer to their previous owners, but to the land with which they were entrusted. Doug and Anna envision a world where farming is a respected and indispensable career, organic practices are considered conventional, and agriculture is defined by a supportive network of like-minded farmer stewards. Vilicus Farms exists to model this vision not as something that we wish for or talk about with fondness, but rather as an authentic and realistic agricultural reality. 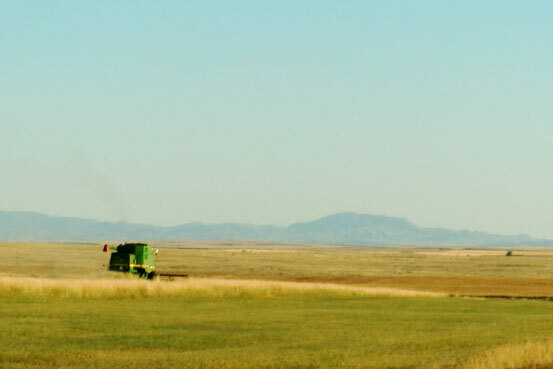 Vilicus Farms works to embody advanced land stewardship practices at scale in partnership with nature, promote the standing of professional farmers in society, and cultivate a new generation of farmer stewards on the Northern Great Plains.